In my playgroup there's a subset of decks that we refer to as the big guns. They're far from being actual Tier 1 decks, but things like my Krenko, Mob Boss list and my roommate's Balthor the Defiled deck are frequently able to end the game before the rest of the field even gets going. As a result, we only play these decks against each other, creating a mini-metagme within the larger picture. The reason that I bring this up is that one of my friends came over and asked for help editing one of his decks a few days ago. The deck in question was Jhoira of the Ghitu, a list that he'd been intentionally holding back for years to keep it from running rampant across the playgroup. His goal? Remove the safeguards and finally push his deck into the tier of the big guns. This week's article isn't about that Jhoira deck, but it was an eye-opening experience to sit down with two other strong players and spend a solid three to four hours dissecting a single deck and talking about every potential card. Even for someone in my position, that isn't something that I have time to do often, and even though we didn't get to play, it was the most fun I've had at a Commander night for a while. Now, let's see what we're going to be working with this week. 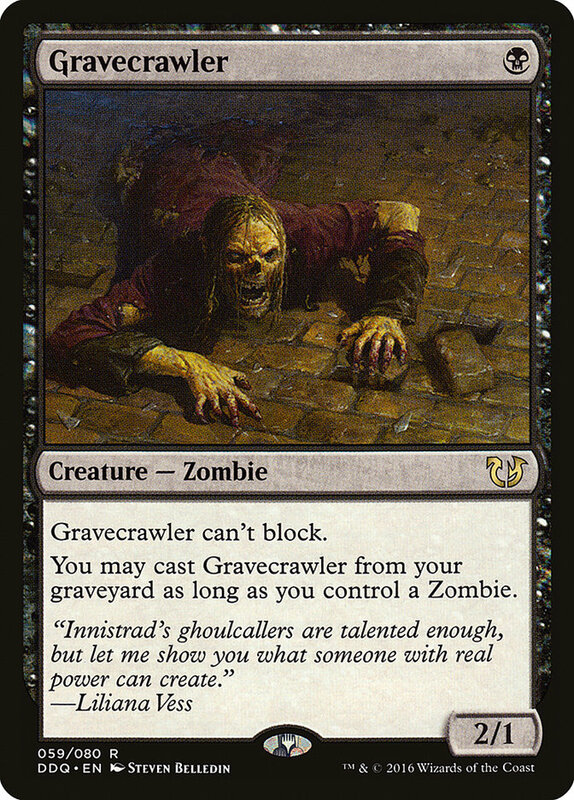 Since the original introduction of Stitcher Geralf and Ghoulcaller Gisa in the original Innistrad block--and heavily bolstered by their awesome cards in Commander precons--I have been enamored with them. The combination of sibling banter and necromancy is beautiful. I have most of these cards already, so my budget is about $75. 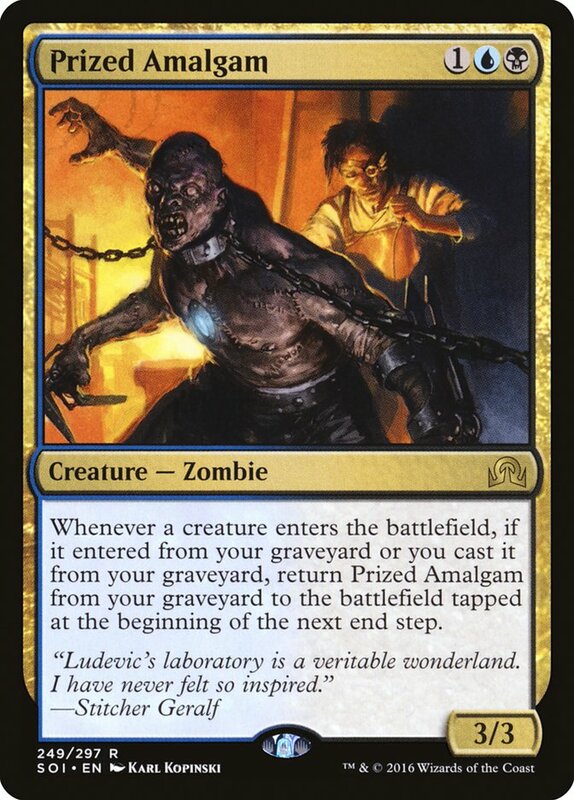 I really like the idea of flushing my hand into the graveyard to rebuy later, hence inclusions like Whispering Madness and Jace's Archivist. And, overall, I like the selections of Zombies I came up with. Havengul Lich is like a lieutenant for the deck, and I had to include the original Gisa and Geralf cards. And since I am flushing so many cards down the drain, I figured the Living End and Living Death spells would often be pretty huge. I am concerned that I am not running enough creatures, and also whether or not I am utilizing Gisa and Geralf as effectively as possible. I love these two, and I want to make sure the deck is tailored to their abilities. 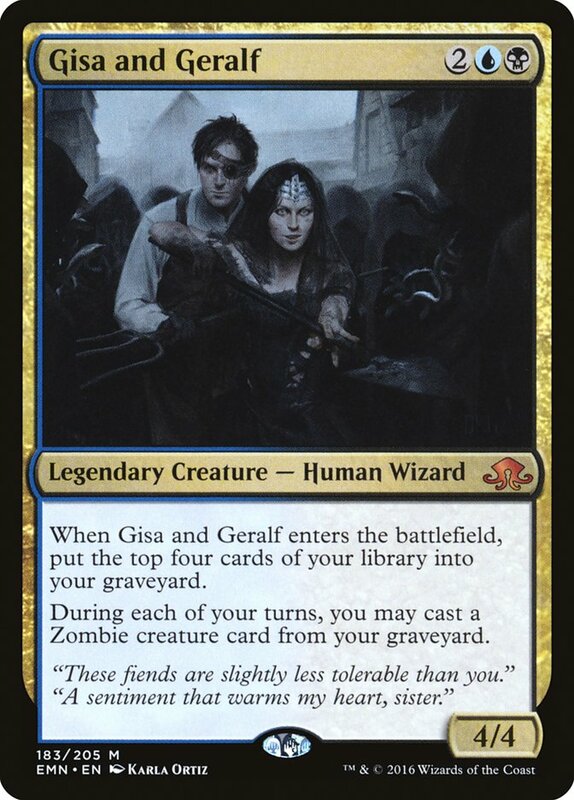 Gisa and Geralf might be the first legendary creature that explicitly rewards you for playing Zombie tribal, and considering their obvious power, it's surprising that they haven't gotten much attention. Well, today we're going to change that. 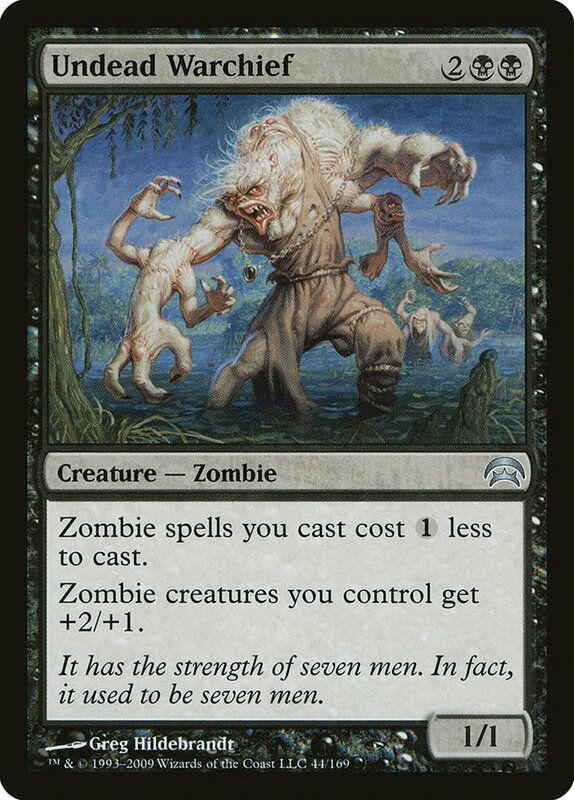 Considering the sheer power that the word Zombie adds to any card in this deck, all the non-Zombie creatures came under very harsh scrutiny. 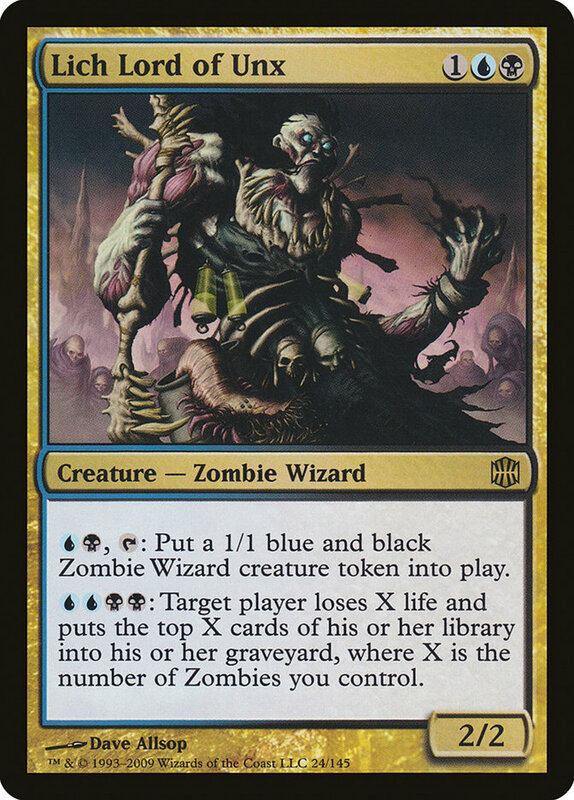 I kept the original Ghoulcaller Gisa and Stitcher Geralf for flavor reasons, but they could easily get the axe as well if you're really looking to maximize the power of your deck. Let's start with the most surprising cut: Solemn Simulacrum. 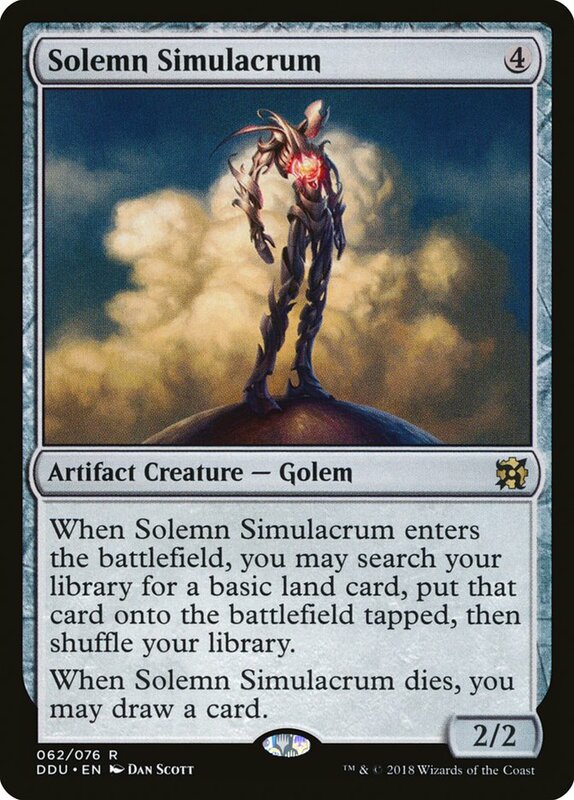 The “sad robot” is widely considered a staple of the format, and there's a running joke that all decks start with Sol Ring and Solemn and then go looking for the other 98 cards. However, with non-Zombie cards under such pressure, I was forced to choose between Solemn and Burnished Hart, and for this deck in particular I believe the extra ramp is more important than Solemn's card draw and efficiency. 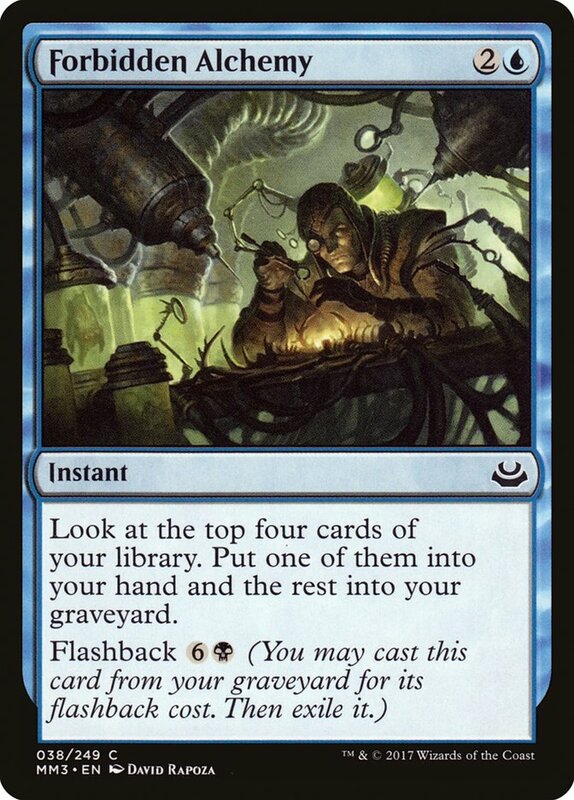 You're right that Jace's Archivist's effect is quite good for your deck, but when you already have that same effect on Forgotten Creation, we can afford to cut the Human version. 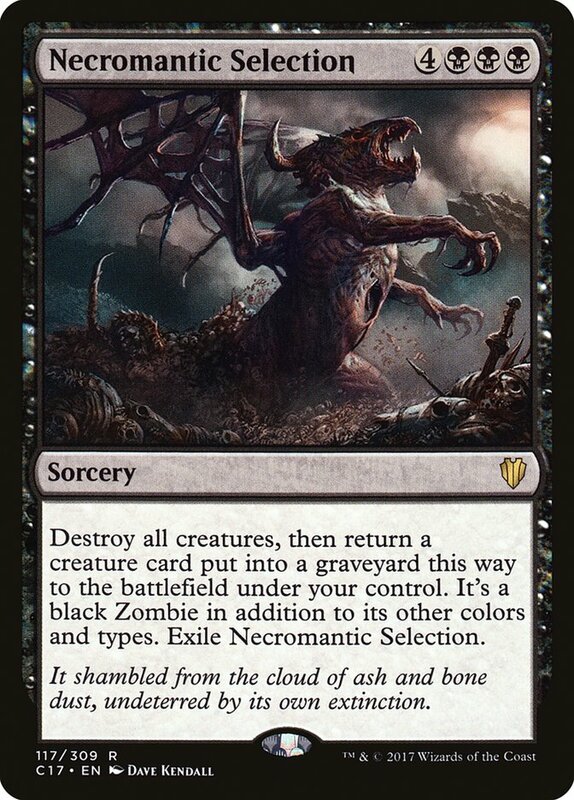 I'm cutting Sepulchral Primordial because you're incentivized to exile your opponent's best dead creatures in case you have to cast Living Death or Living End later. 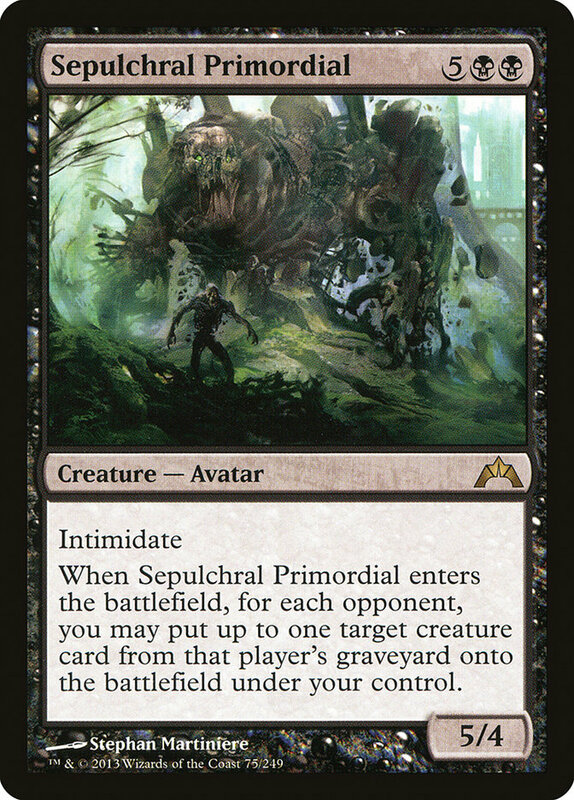 Yes, the Primordial generates a huge advantage, but it's a one-time thing and I'd rather build around repeatable advantages. 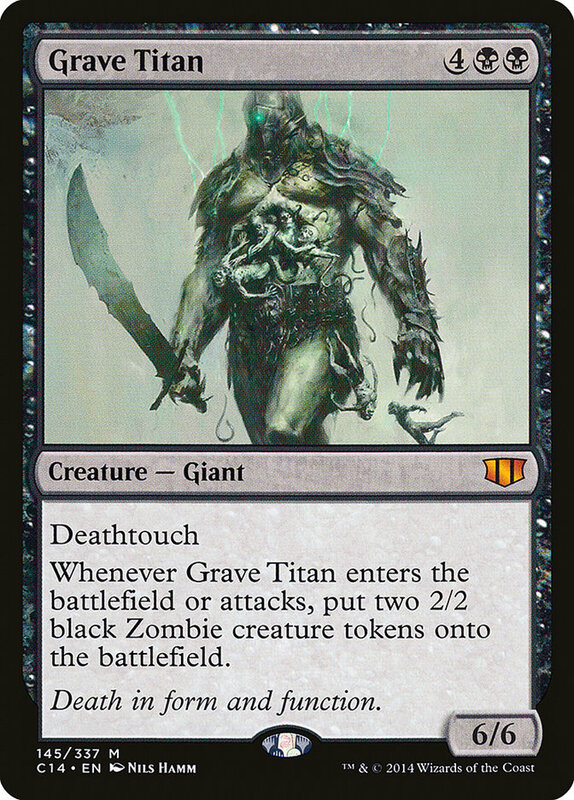 Finally, while Grave Titan generates tokens very quickly, there's a more powerful and resilient token engine that I have in mind for this slot. 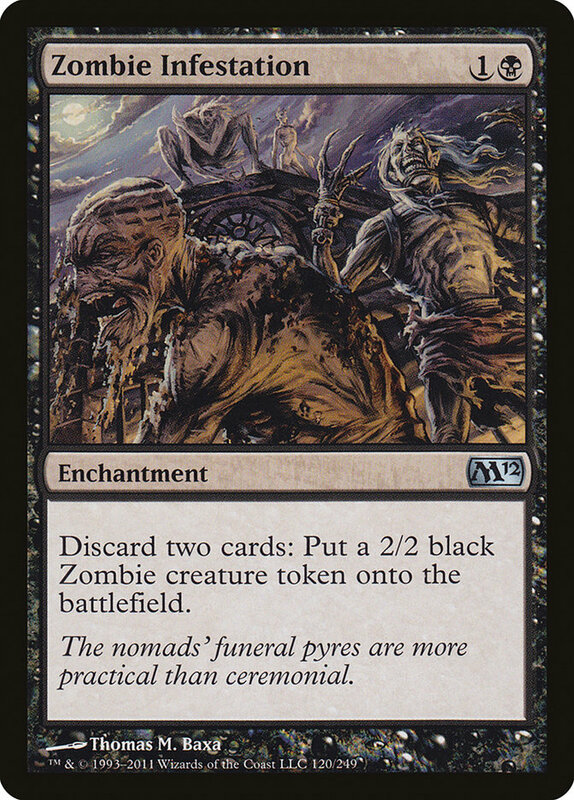 Gravecrawler and Prized Amalgam seem like they'd be perfect for this deck, but as you're not actively aiming to exploit sacrifice effects as much as possible, these are really just underwhelming and vanilla creatures in a deck where everything can be recast anyway. Helldozer is a fine mana sink, but it's very slow and you're going to be using all of your mana to cast and recast Zombies anyway. Unless there's specific problem lands in your metagame you can do without this. 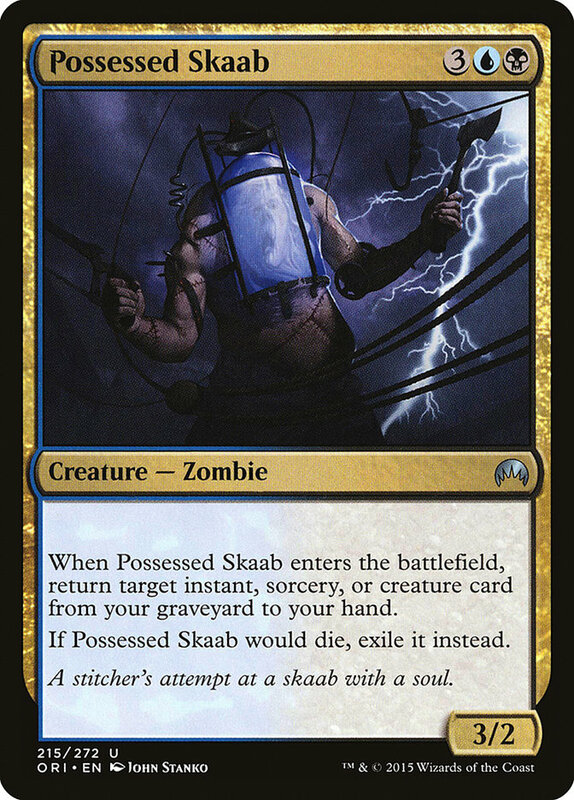 Possessed Skaab is a wonderful effect, but you can only use it once, thanks to the exile clause. 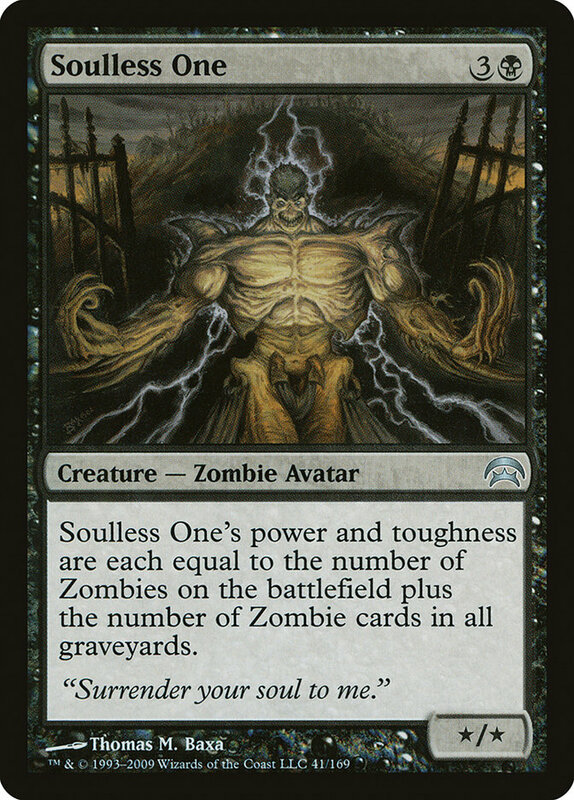 Since the whole point of Zombies in this deck is to use them over and over again, this card isn't doing much for you. 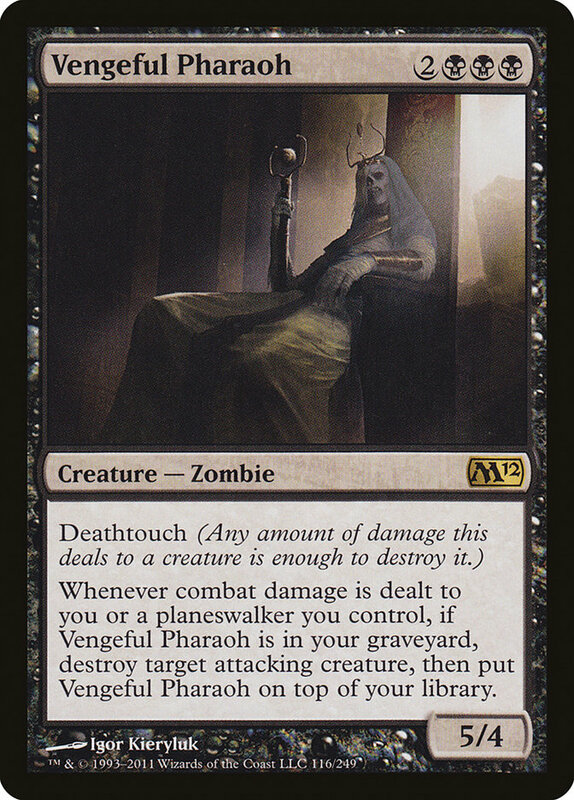 And finally we come to Vengeful Pharaoh. I've actually run this card in a few decks, and it's always underwhelming. Once you reach the late-game, attacks will usually come as a single massive blow, so killing a single creature after damage is dealt often won't matter because Craterhoof or a similar card dealt lethal to you. 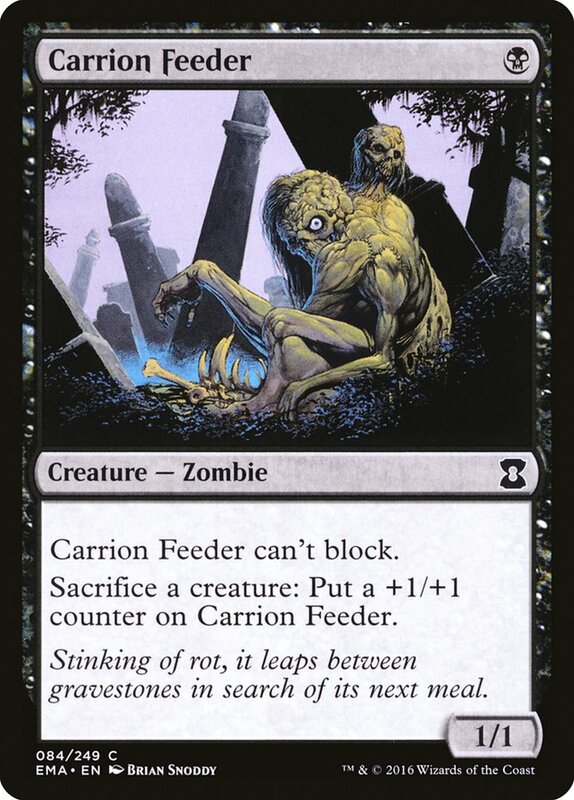 I wanted a sacrifice outlet in addition to Grimgrin, and out of all the free sacrifice outlets that Zombies have, I prefer the permanent boost in power of Carrion Feeder over something like Nantuko Husk. 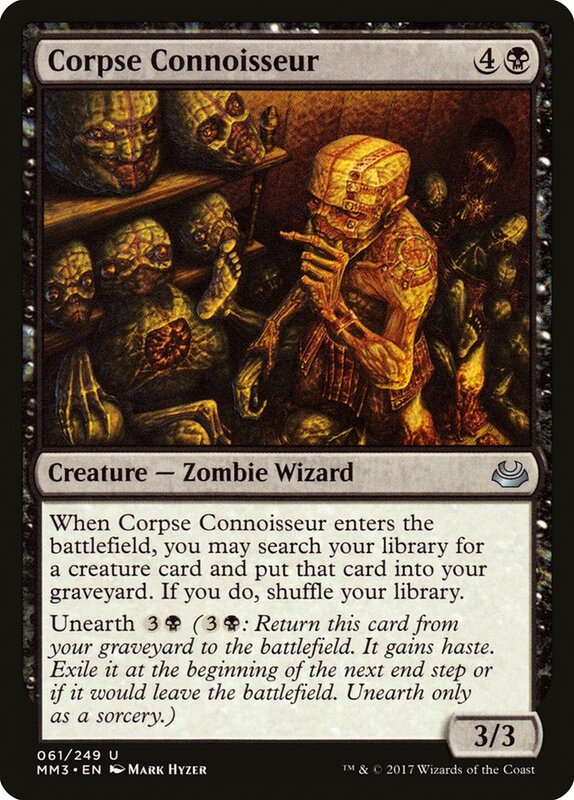 Corpse Connoisseur, Grave Defiler, and Cryptbreaker all come in to give you access to more cards in various ways. 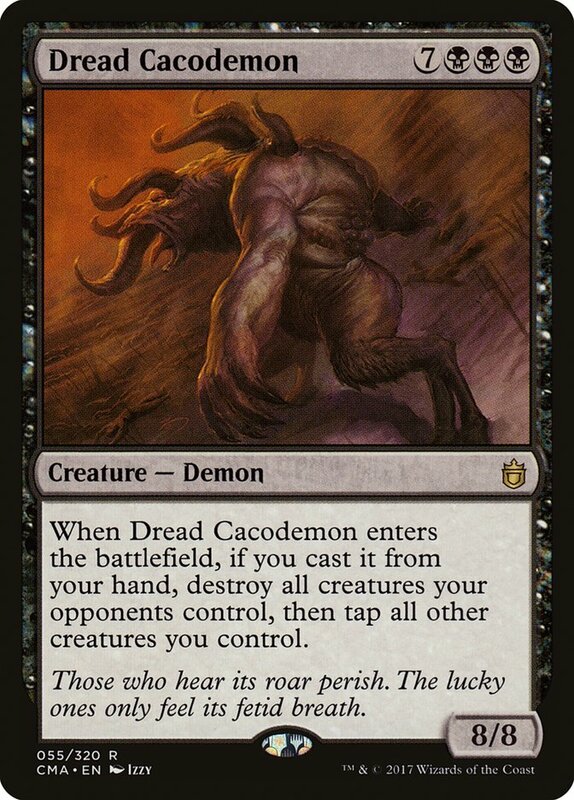 Corpse Connoisseur can get any creature for you to replay and can be compared to something like Rune-Scarred Demon in this deck. 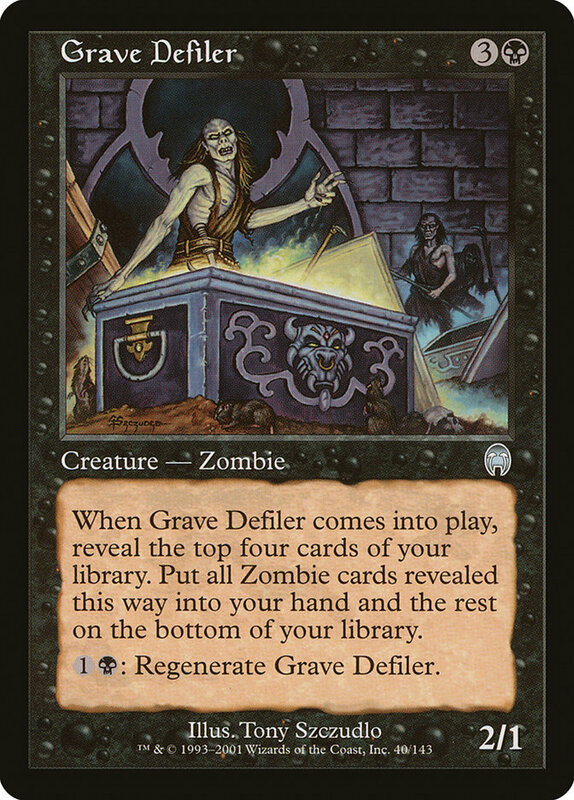 Grave Defiler is the oft-forgotten member of the Goblin Ringleader family and lets you pull creatures off the top of your deck with ease. Cryptbreaker is a new addition, and one of the few that actually just lets you straight-up draw cards. 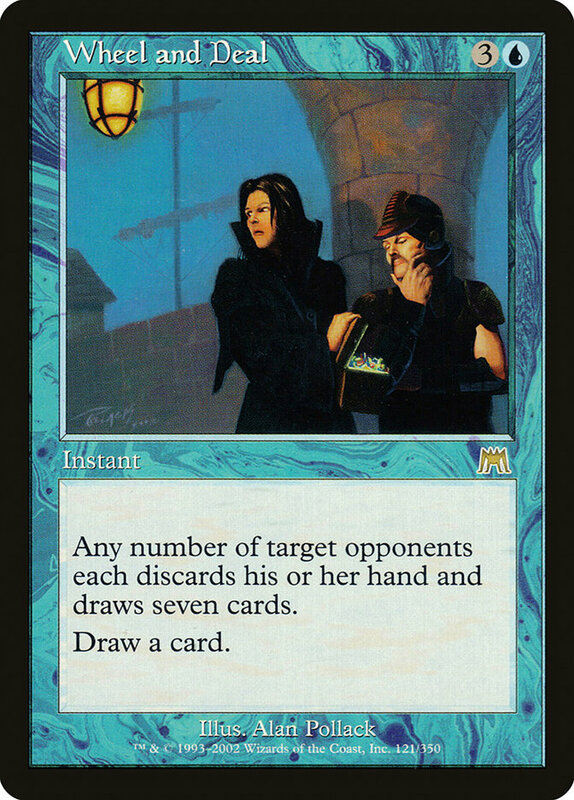 Given how large your token army can get, this is easily one of the scariest draw engines you have access to. 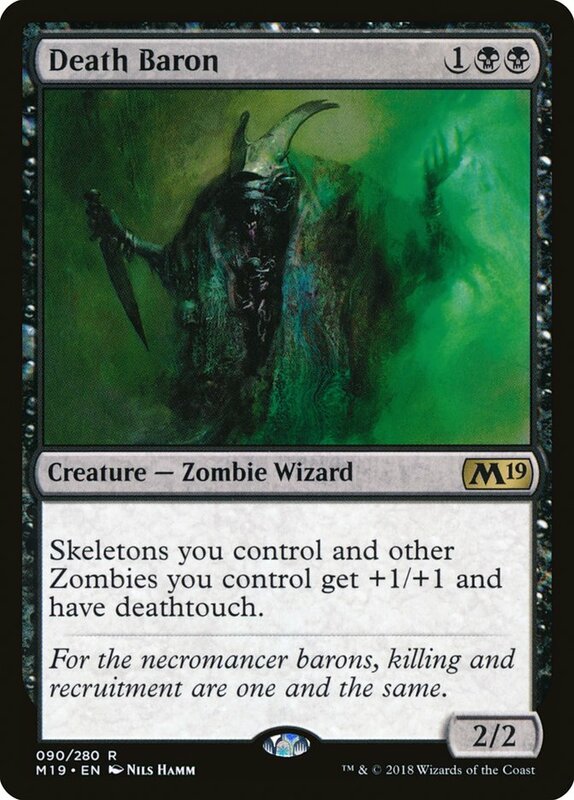 Death Baron, Lich Lord of Unx, Lord of the Undead, and Undead Warchief all make your creatures bigger or (in the case of the Lich Lord) let you turn those creatures into direct damage and milling. All of these will drastically speed up your clock and allow your Zombie tokens to take down bigger creatures. 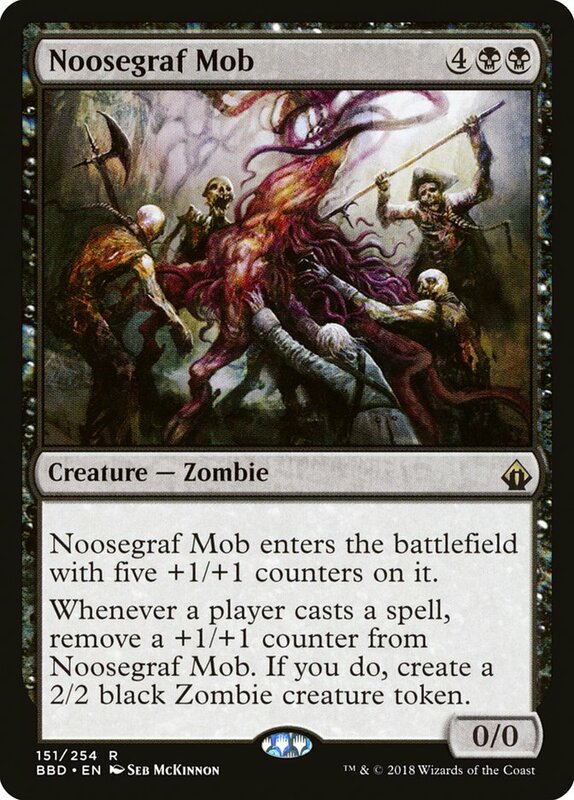 Noosegraf Mob is a recurable way to make a lot of tokens that I actually prefer to Grave Titan here, and Soulless One is simply gigantic. Now we come to the two non-Zombie additions. 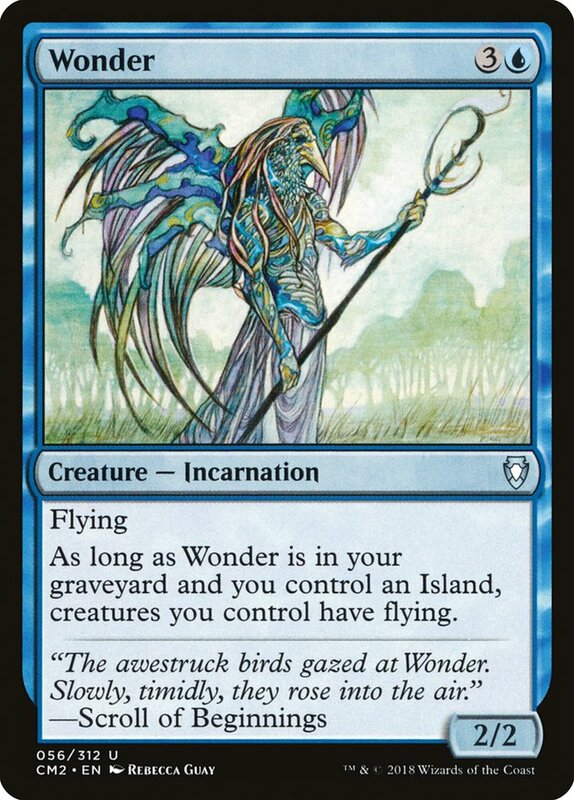 Wonder is getting added because this list is otherwise very weak to fliers, and unlike similar options like Archetype of Imagination, the fact that you can't replay it from your graveyard isn't a problem. 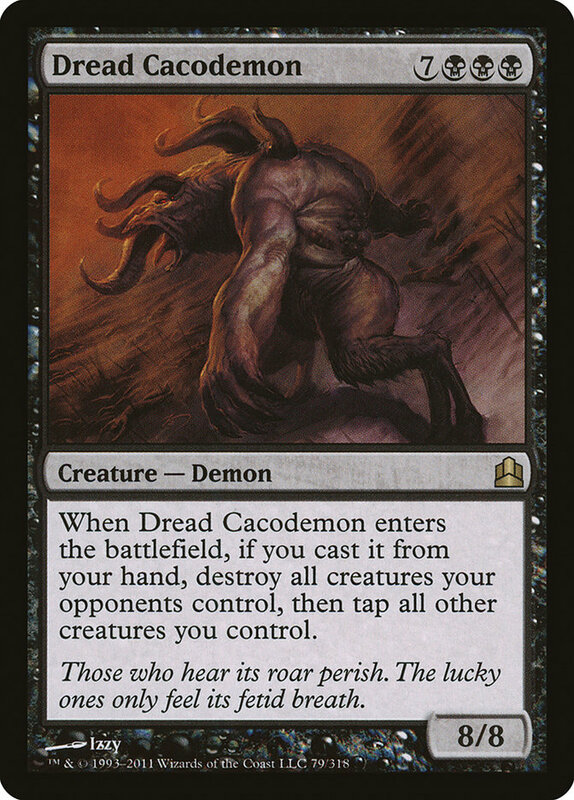 Dread Cacodemon might seem like a very odd choice, but it looks like you want to play for the extreme long-game, and simply having Cacodemon in the list gives you a degree of inevitability that nothing else can mimic. 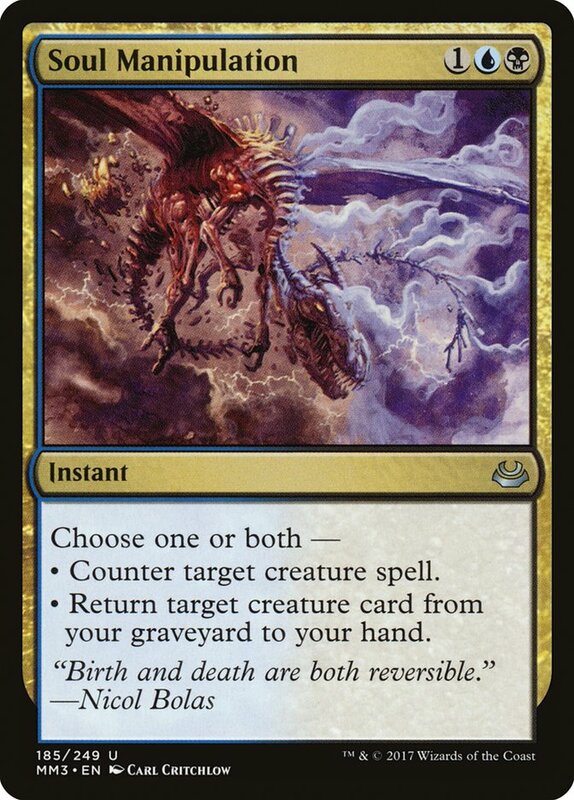 It's good as a one-sided Wrath the first time, but once you have a sacrifice outlet and fourteen mana, there's the option to use the Cacodemon and Gravedigger to blow up every creature that isn't yours on every turn. That seems like a pretty strong end-game to me. You're in blue. 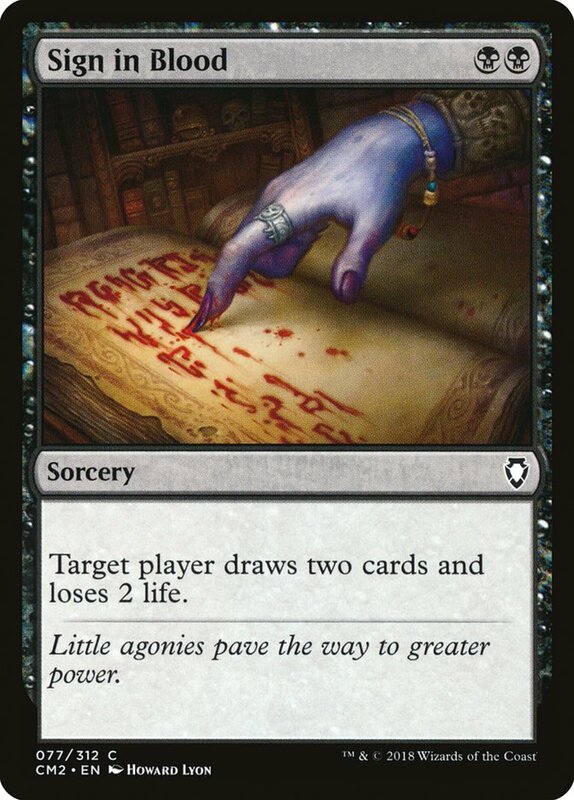 Even if you want one-shot card draw spells, there are much better ones out there than Sign in Blood and Read the Bones. I know you wanted to run several "Wheel" effects, but Wheel and Deal only gives the main effect to your opponents. For you it's just a cantrip. Outside of a deck like Nekusar, the Mindrazer, Wheel and Deal simply doesn't do that much. 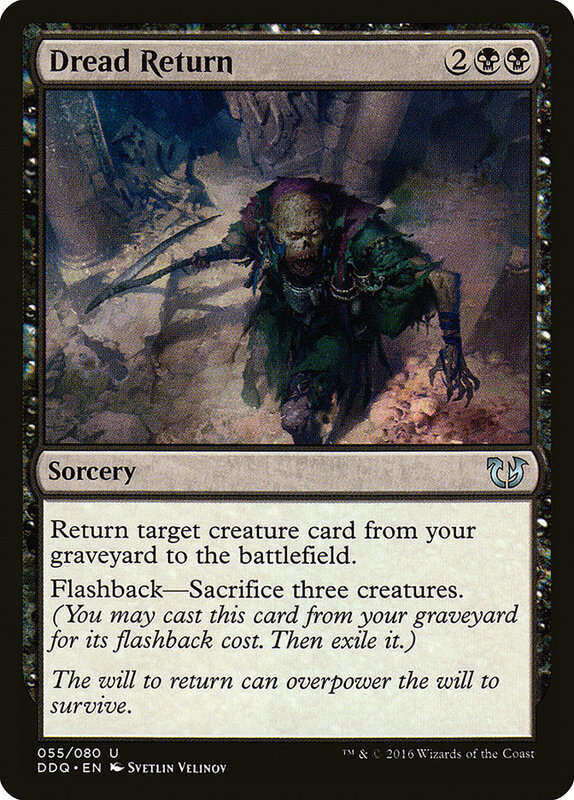 When it comes to Dread Return and Soul Manipulation, you're already very well set up to bring creatures back out of the graveyard, so using more cards slots for reanimation is unnecessary. 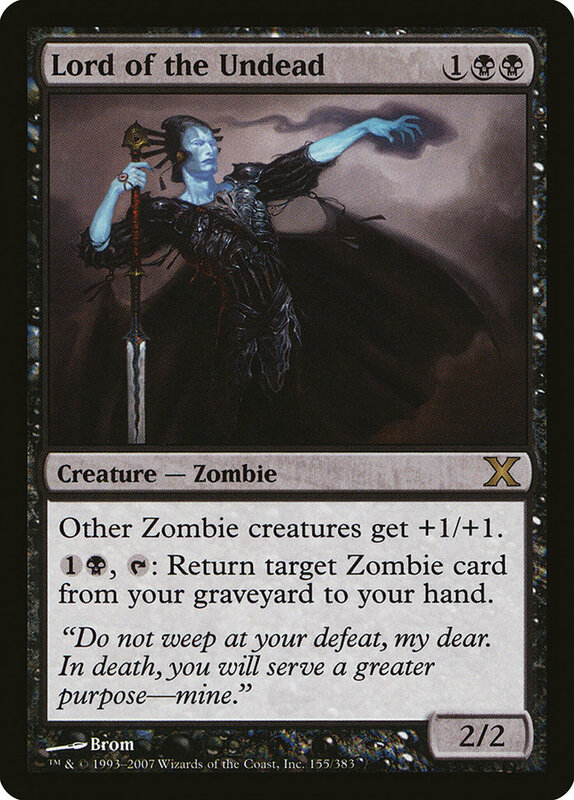 As for the counter mode on Soul Manipulation, most graveyard hate comes on noncreature cards, and that's the main category of cards you'd want to stop. I'd rather run a card that does one thing you really want rather than have one that does two things you sort of want. 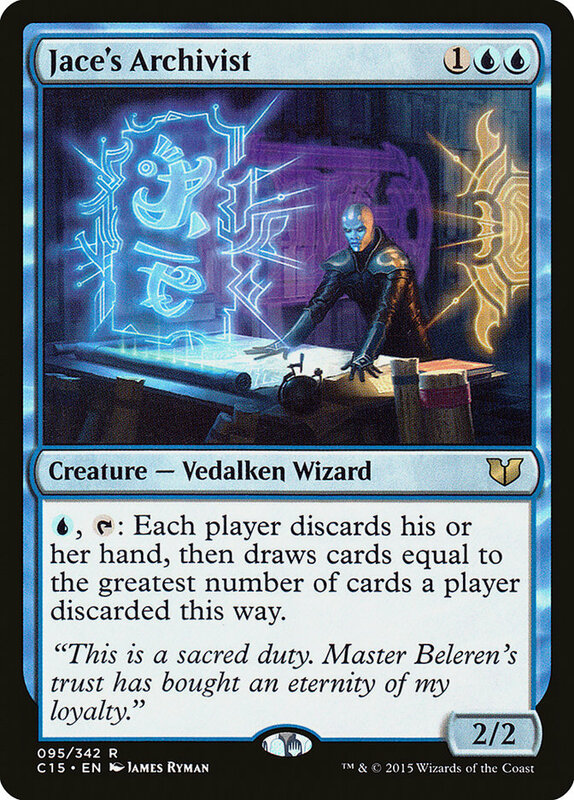 The filtering that Forbidden Alchemy provides is very nice, but the creature-based card draw engines that I added will do much more work for you, specifically because they can be used much more than twice. Zombies are better able to recover from sweepers than any other tribe, so upping the number of Wraths you had access to made sense. 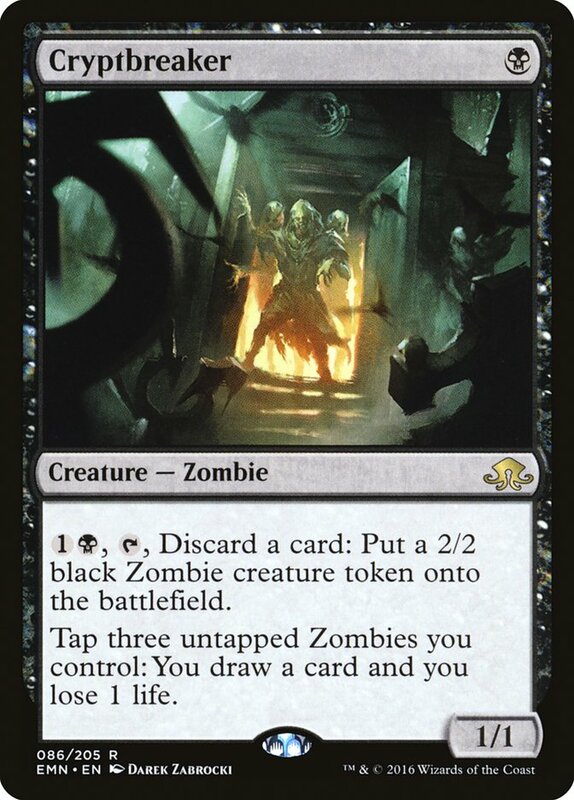 In Garruk's Wake and Necromantic Selection both fall a little higher on the curve than normal, but the upsides they give you are well worth the extra mana. One of the most important aspects to evaluating mana rocks in Commander is whether any given mana rock in your opening hand will help you power out your commander any faster. For this reason, Dimir Signet and Talisman of Indulgence are amazing here because they let you bring out Gisa and Geralf on turn 3. 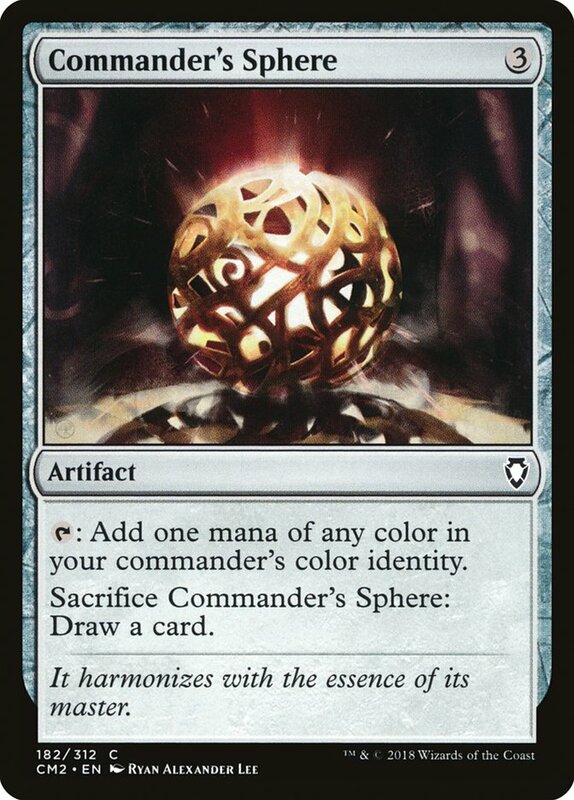 Commander's Sphere and Darksteel Ingot, on the other hand, won't be relevant until two turns after you play them, and they only advance you by a single mana. That's not really a rate I'm interested in for most games. 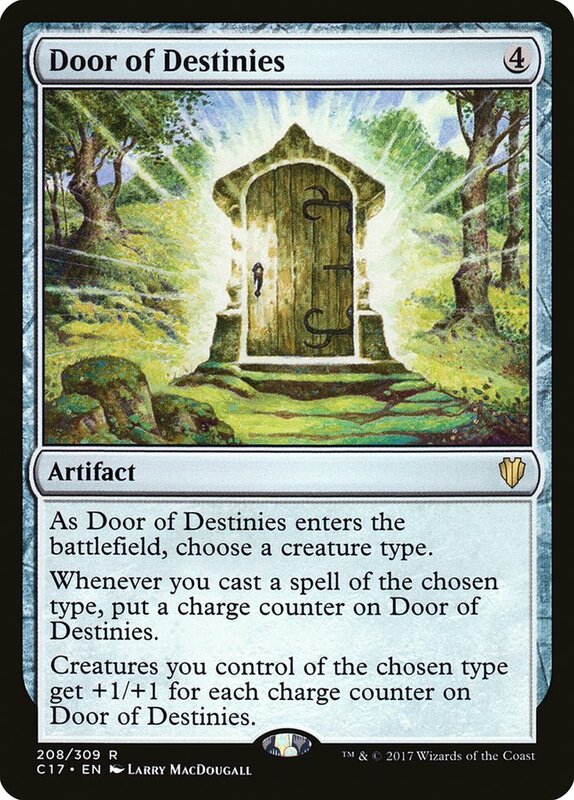 Door of Destinies is worth including in most tribal decks, even if most builds struggle to get more than four to five counters on it. 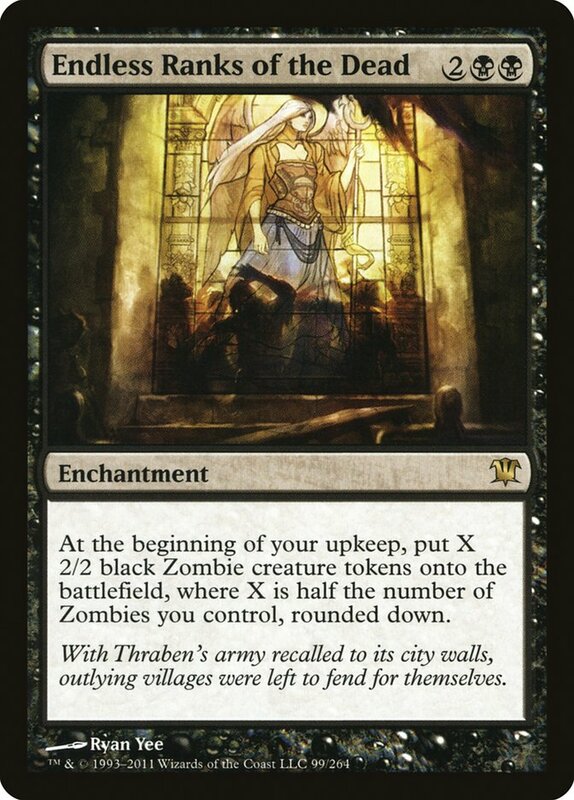 This deck, on the other hand, will always cast at least one Zombie per turn, and oftentimes more. If any deck can drive this card up to absurd numbers, it's this one. 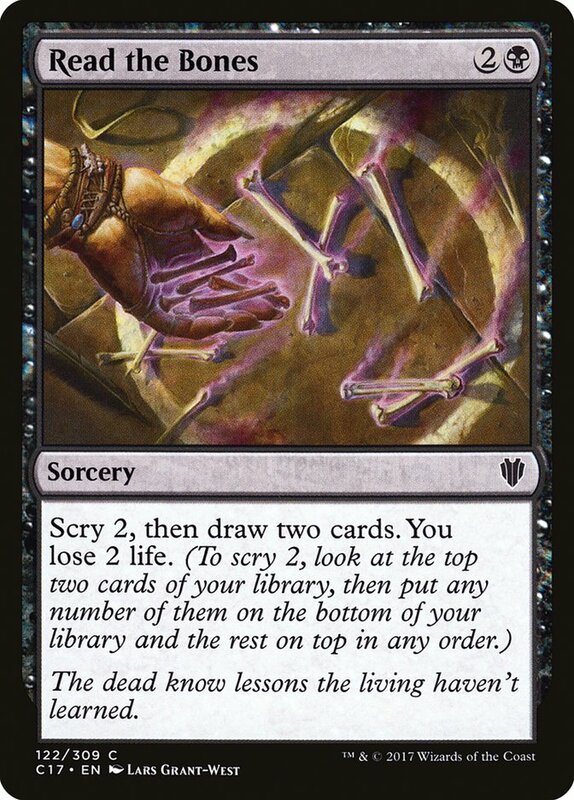 In general you want to get cards in your graveyard, but discarding two cards from your hand in order to get a single 2/2 token is a very, very steep rate. 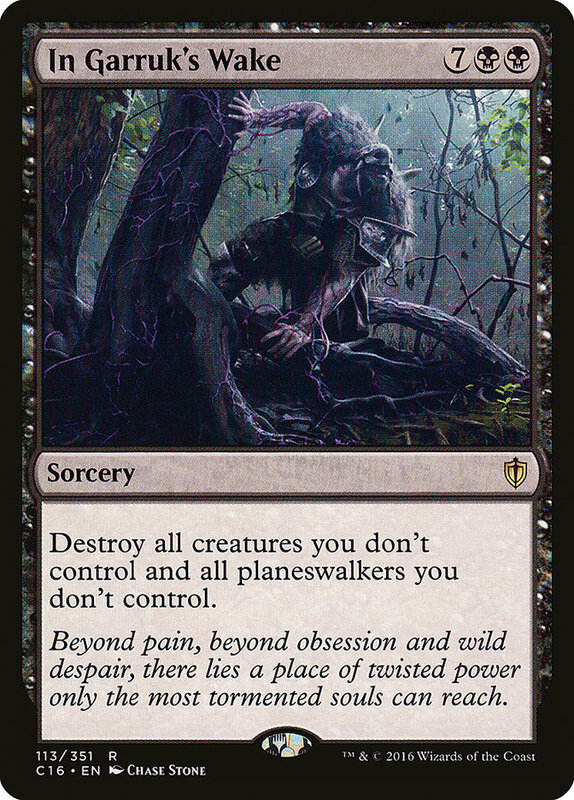 This has always been a card that looks like it should have a home, but outside of madness shenanigans it's subpar. When it comes to repeatable Zombie generation, Endless Ranks of the Dead is easily one of the most powerful versions of that effect. As long as you have two Zombies to start with, it will build an army for you with no other investment other than time. Given that you want to go wide anyway, this card should generate an absurd amount of value. Levitation joins Wonder and Eldrazi Monument as ways to send your team into the skies for offense and defense. 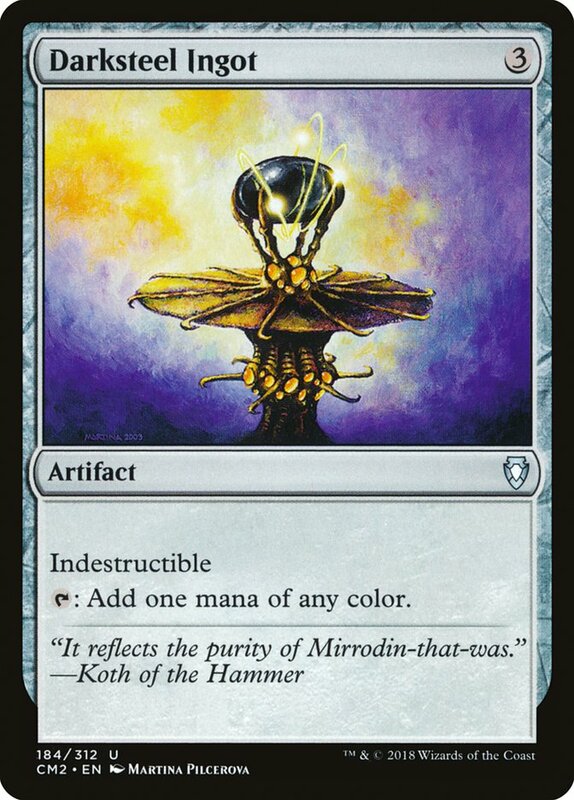 I'm choosing the enchantment version of this effect because it's far less likely to get blown up than a creature like Archetype of Imagination. 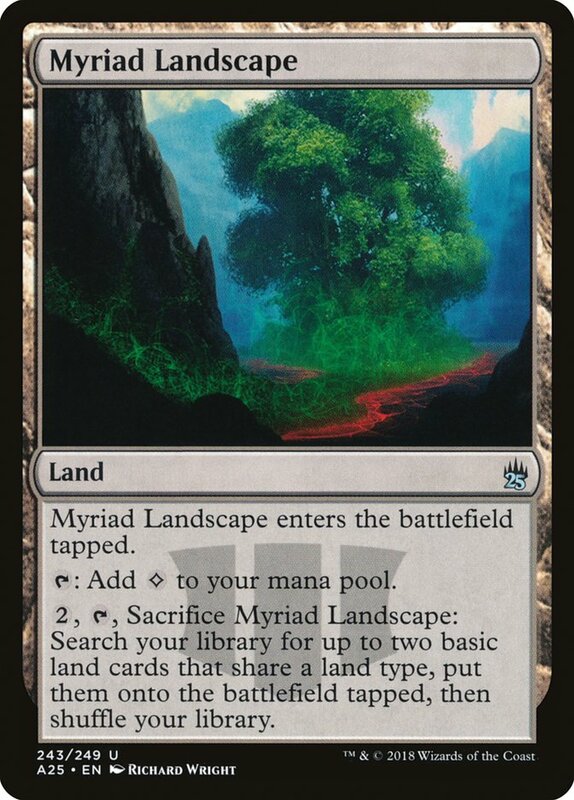 Myriad Landscape has always looked amazing as a ramp spell that you can play in your manabase. However, my experience with it has always been that it slows your progression down to a crawl, as it requires you to interrupt your gameplan on two separate turns in order to go up a single land. 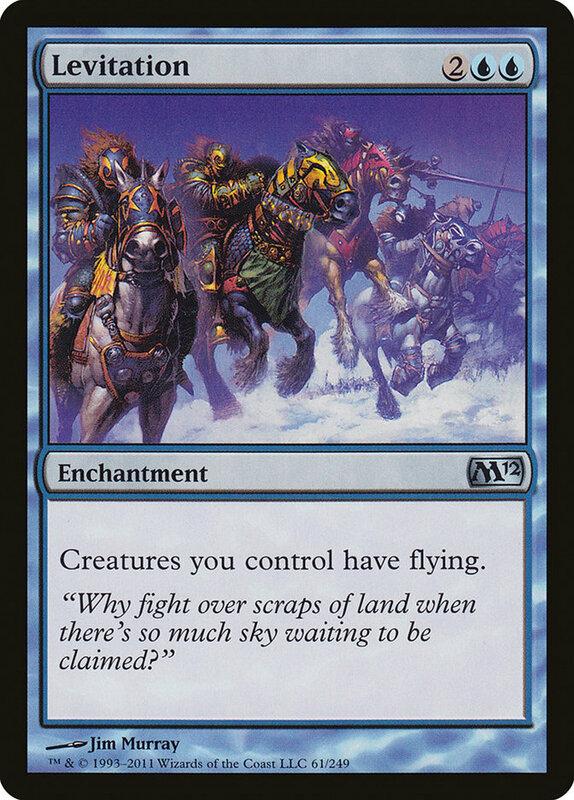 If we're looking to include ramp in the manabase, we might as well go with an option that has a much higher ceiling than Myriad Landscape. 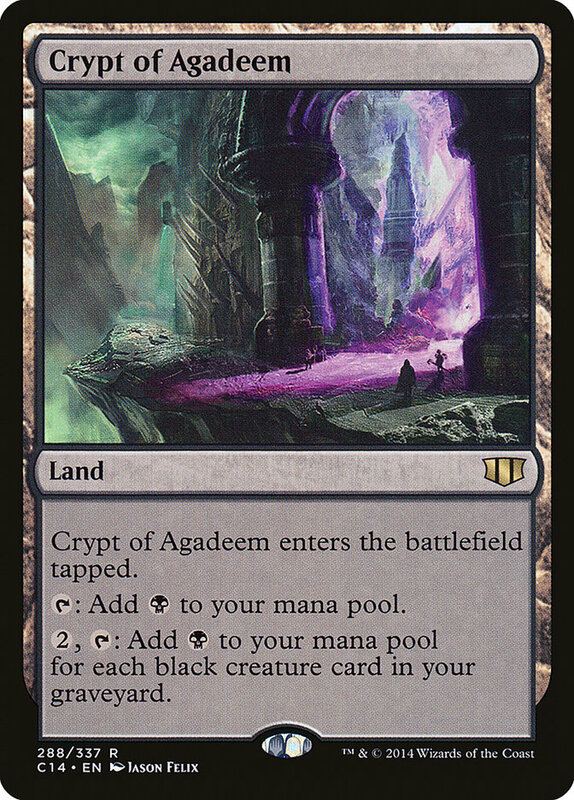 With 36 black creatures to fuel Crypt of Agadeem, it can generate huge, big mana turns that dwarf the rest of your ramping abilities. In total, the changes add up to $60.20, almost fifteen dollars under budget, and that's before you factor in the twenty dollars in store credit to StarCityGames.com® that Juan will receive for having their deck featured. I'm very happy with how this week's deck turned out, in part because Gisa and Geralf is (are?) 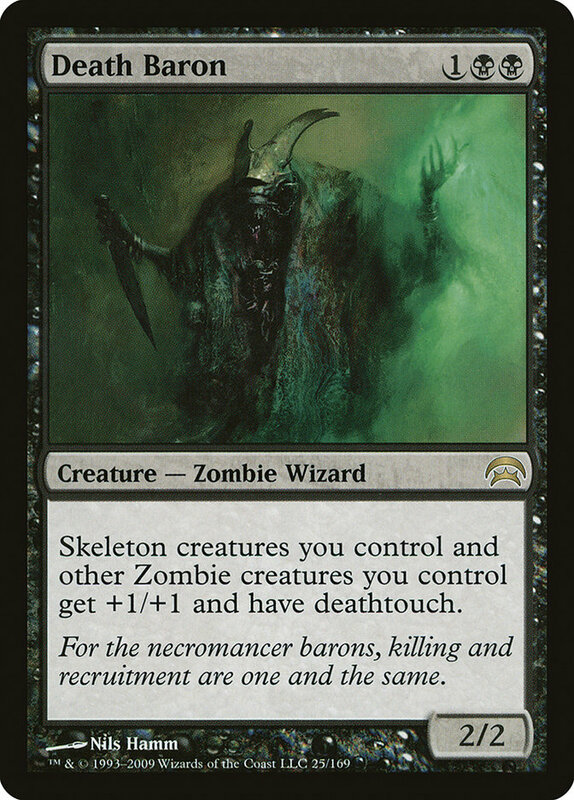 the first commander to actually give tribal Zombies the slow, grindy inevitability that the tribe has always wanted. It's always interesting to build a deck where you can assume that card advantage will be taken care of by nature of what your commander does.